"Yesterday the team celebrated another mile stone for our Senior Nurse Jayne! 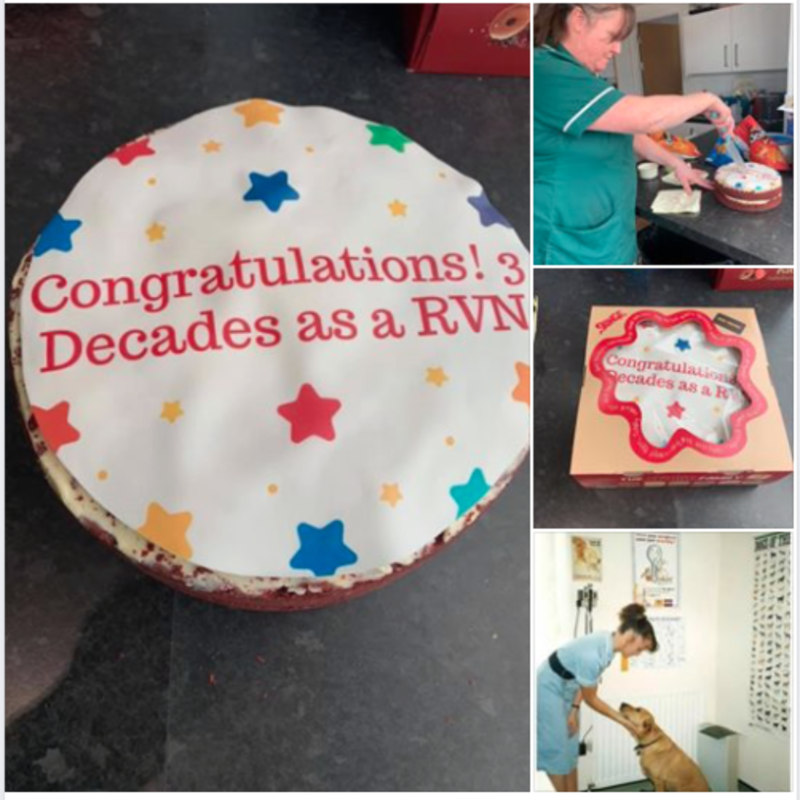 30 years as a Veterinary Nurse. It wouldn’t be a Miramar party without cake so thanks to Sponge Cakes Ltd for the delicious cake and thanks to Jayne for bringing a wealth of knowledge to our team." Miramar Veterinary Centre posted their Sponge Moment on our Facebook Page.